They're the 19 men and women with their fingers on the pulse of Australia's past travel habits … and the best placed to know what we're hoping and dreaming of in the future, as well as what we really should be planning instead. When Traveller decided to approach some of the top travel industry figures in the land, we went to hotel bosses, package moguls, flight specialists, cruise connoisseurs, tour authorities and bespoke travel designers to ask them what 2019 holds for us. Every one of them has been working furiously throughout 2018 to help curate another bumper year of travel for Australians, and they were eager to air their views for the coming 12 months. The biggest challenge was this: most of them are so impressed by the incredible range of choice of destinations now on offer, the increasing accessibility of even the most remote locations and the affordability of everything, they had trouble keeping their answers to our questions to a few simple lines. Many agreed, of course, on some of the strongest travel trends, such as the increasing popularity of all-inclusive packages, the hankering to visit ever more exotic and faraway places, and our apparently insatiable appetite for a good cruise. 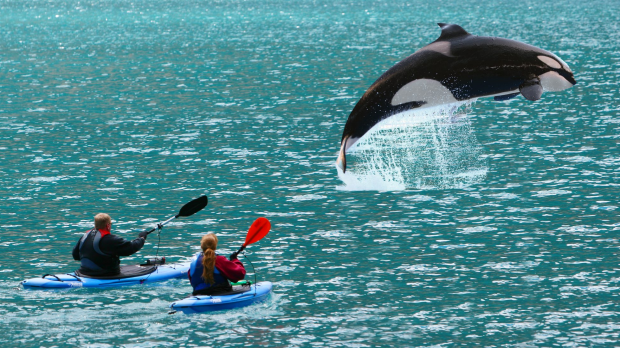 There were disagreements, however, about what Australian travellers expect to do when we get there – adventure activities, yoga, cultural immersion or simply dropping and flopping. When it comes to what's hot for 2019, there was a whole globe's worth of answers. From Sri Lanka, the Maldives and Japan hitting new heights in popularity, to greater interest in journeys to less typical destinations such as Antarctica, Alaska, Laos, Bhutan and even Chad in north-central Africa. The world, it seems, is our oyster, and doesn't it look delicious. WHERE WILL EVERYONE BE GOING IN 2019? 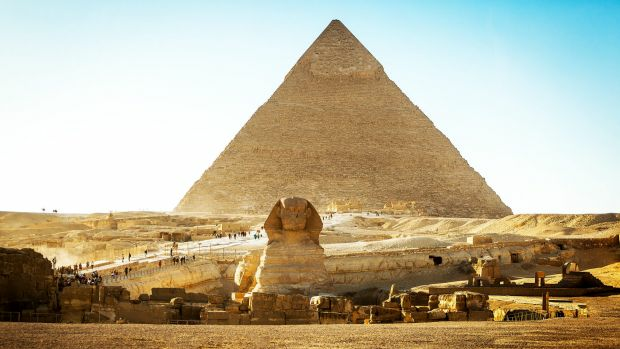 We're seeing a really clear demand for tours in Egypt, Jordan and Morocco. 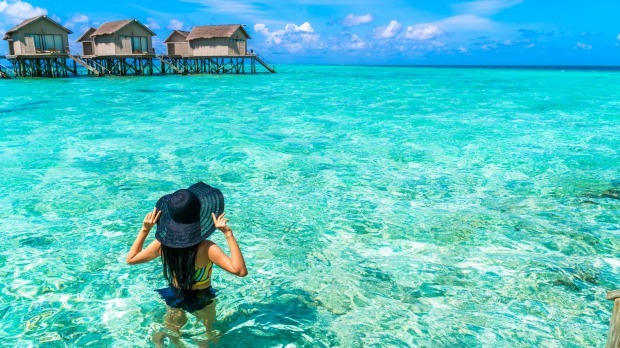 For a beach break, the Maldives and Sri Lanka are now gaining much more attention and visitation from Australians who have previously relied on Bali and Thailand. WHERE SHOULD EVERYONE BE GOING IN 2019? 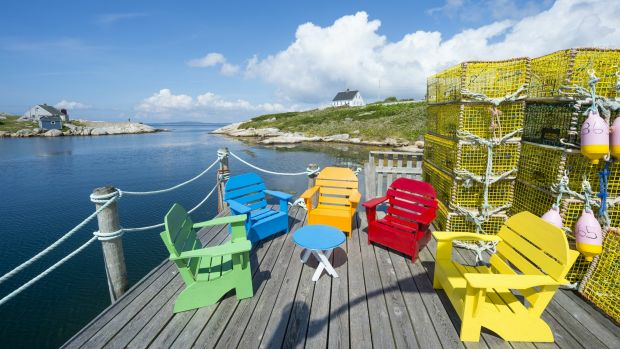 Eastern Canada has amazing seaside towns such as Halifax, famous for lobster, but also a long history, including the largest explosion the world had seen during World War I and a role in the Titanic disaster. There's also the mix of French heritage and architecture in Quebec and British influence the closer you get to the coast, while travel time is similar to Europe (or less). WHERE WILL YOU BE GOING IN 2019? Sri Lanka. Few countries similar in size offer the diversity of Sri Lanka – in the central hills there are amazing waterfalls and tea plantations, south-east at Yala National Park there are wildlife game drives, to the west are coastal historical towns such as Galle and, south, there are stunning (and quiet) beaches. More holidays. Five years ago most Australians would travel once a year on a large multi-week holiday, however now we're seeing the emergence of the two-holiday year, and neither are shorter. The cost of travelling and the value of cruising are driving overseas travel. Sustainability. More than ever before, we are critiquing the locations we visit and the operator's ability to maintain and protect the attractions, wildlife and experiences for future generations. No straws. Luxury villas at Fairmont Maldives. The Maldives. Once out of reach for many, new properties and great offers have increased competition. The courage and confidence [of Australian travellers] to explore new destinations. Whether it's Antarctica or the Amazon, our customers are embracing the plethora of airline choices getting them to every part of the world, typically, now, with no more than one stop required to get to most destinations. To mass-market destinations on well-worn trails. But travel is rapidly evolving and reshaping to offer the true essence of a destination, with immersive experiences that are truly memorable. To places that even Google has trouble finding, and your dinner mates will have no real concept of where you are going – like Nosy Komba off Madagascar, romantic-sounding faraway Zanzibar, or for the adventurous, Cold War types, the Russian Far East. Norway, the Spitsbergen coast, places like Ny-Alesund, Gasbergkilen and the Nordenskiold Glacier. My challenge is to comfortably pronounce these names on my return. 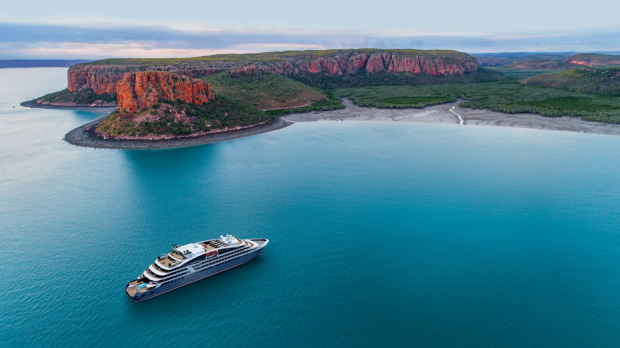 A Ponant cruise in the Kimberley. Small-ship expeditions to remote and rarely visited locations but experiencing these destinations in luxury and comfort. No need for modern-day explorers to rough it. That, globally, many destinations risk losing their individual identity as the world becomes homogenous. Genuine destinations that still reflect original heritage, cultures, architecture, geography, environment … untrammelled by hordes of tourists … that are truly authentic, not just a facade, need to sustain their individuality. Remote destinations and the unique experiences they offer. Privileged access is the new value-for-money. Sri Lanka has been at the top of hot travel trends for a while and it is no surprise Australians are flocking there for its sensational food, tropical beaches, natural diversity, family-friendly resorts and stylish boutique hotels. The Kimberley – Australia's own final frontier. It has the most dramatic landscapes of anywhere and nowhere else in the world will you feel as grounded. If you are looking for adventure off the beaten path and to witness nature at its finest, it is guaranteed to blow you away. Namibia. The vast deserts and rugged coastline are the perfect complement to the green beauty of a South African visit to Cape Town and Kruger National Park. The impact of over-tourism and how travel and cruise operators work with local authorities on managing such issues. "Fly and flop" packages to Asia. With more luxury resorts and hotel rooms opening up this and next year across Asia, leave your sense of adventure at home, pack a good book and relax by an infinity pool. The steps cruise companies are taking for environmental sustainability – from ships being built to run on natural gas, to eliminating straws from pool bars and supplying guests with a refillable water bottle to replace multiple daily plastic bottles. 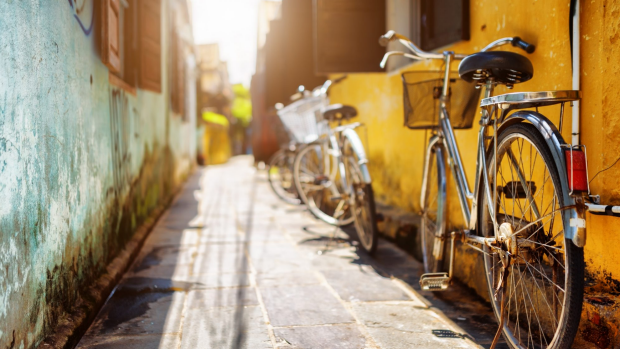 Vietnam remains a favourite for Aussies, and Intrepid's most popular destination for all trips; number one for cycling tours and second for our food adventures. It's also where a $20 round of drinks will go furthest – 14 beers compared to two in Japan or three in Turkey. Travel is thirsty work. Turkey (up by 368 per cent for us) and the Middle East (up by 128 per cent). Customers are returning to Turkey after a couple of difficult years. Most travellers aren't deterred by an element of risk. Nepal. I'm planning trekking in the Himalayas and then hoping to see rhinos in its Chitwan National Park, where we have been working with the World Wildlife Fund and the local community. Other places on my list include Laos, Colombia, the Baltic and the Balkans. Sustainable experience-rich travel, with nine in 10 millennials and Gen Zs opting for brands associated with a cause. With younger travellers driving demand for these experiences, we recently launched our first-ever trips for 18 to 29-year-olds, with 80 tours tailored for those who want to make a difference with donations to Friends-International. The distribution of tourists around the world: over-tourism versus destinations that have the capacity for more visitors and, if done right, having a positive impact socially, economically and environmentally. Visitors to Papua New Guinea, for example, make up just 2.45 per cent of the population, and Tanzania, 2.3 per cent. Turkey. The Aussie dollar will get you almost five Turkish lira at the moment (you can get a locally famous fish kebab for eight lira or a beer for seven lira). To Japan with "Cherry Blossom Fever" and the country is also hosting the Rugby World Cup in 2019, so visitors from all over the world will flock there. Bhutan, the magnificent kingdom nestled in the Himalayas, committed to both happiness and the environment; it's like a different realm. China's Yunnan province with the UNESCO-listed Stone Forest, rich culture and sacred Taoist mountains topped by temples. 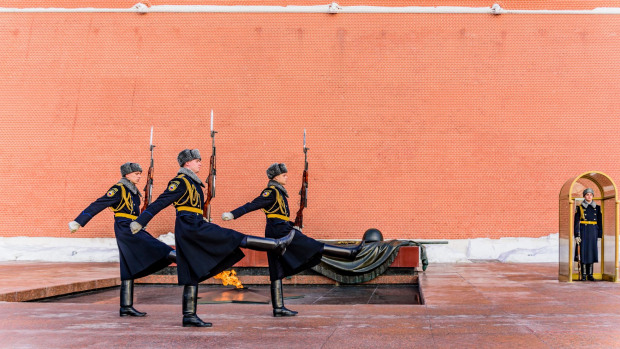 And Central Asia's off-the-beaten-path Uzbekistan, Kyrgyzstan and Turkmenistan. 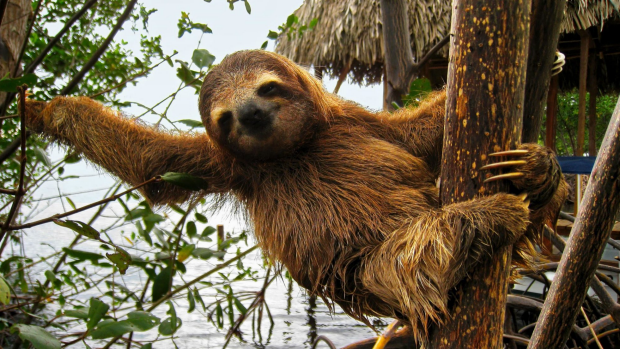 Central America – Panama and Costa Rica with its Monteverde Cloud Forest. Solo travel. More and more people are travelling on their own, for a variety of reasons. Up to 65 per cent of my guests travel solo so we have a new range of solo tours. Often, it also creates lifelong friendships with shared priceless memories. Trust and authenticity in experiences. There are now so many operators taking guests overseas, I advise travellers choose those who have been in business for a very long time, with experiences perfected many, many times. Provincial China. It's so diverse – 50 different cultures each with their own food and religion – unexplored, and terrific value. It has all the benefits of a multi-country holiday, with none of the fuss of border crossings, extra visas and long internal flights. Seeing so many people choosing to seize the day and travel now rather than leave it till later. 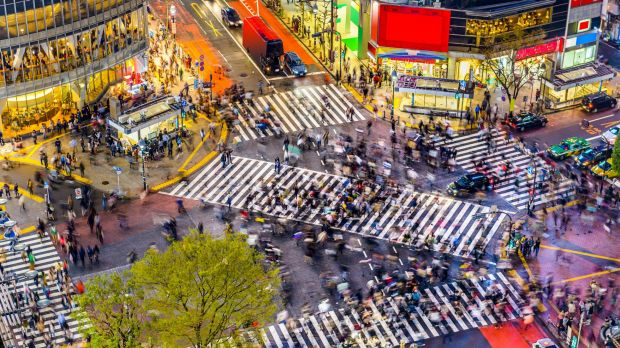 Japan continues to be a favourite for its myriad experiences and the Rugby World Cup from September. The Gold Coast is seeing continued strength following the wonderful Commonwealth Games and its increasingly rich, vibrant food and beverage experiences. Perth and Western Australia are also seeing a renaissance. We have a strong belief and connection to outback Australia, and destinations such as Uluru, Kakadu, The Kimberley and northern Queensland with their vast expanses, blue skies and spiritual hearts play an important role in our tourism offering. Our neighbour New Zealand continues to deliver world-class experiences, and China is fascinating. Shanghai, Singapore, Bangkok, Paris for work, but family getaways to Noosa and Hawaii. Personalised travel experiences that have great stories behind them – a hotel or destination that genuinely immerses you in its history or culture and can also provide the opportunity for travellers to refresh and recharge from their busy "always on" lives. Mother nature increasingly tending to cause disruption to travel plans, from earthquakes to volcanoes and everything in between, but we have learned to work around that. The removal of single-use plastics is now front and centre for our industry. Drive holidays or "staycations" close to home during the shoulder seasons, where you can save on flights and seek out newly-opened hotels that are looking to fill rooms. The exciting growth of the travel industry and the opportunity for it to engage and inspire the next generation to participate. And its ability to help local communities, which is evident from Australia's call to arms to visit regional communities to support farmers and businesses. Slovenia is becoming the new Switzerland, and emerging as a foodie's paradise. 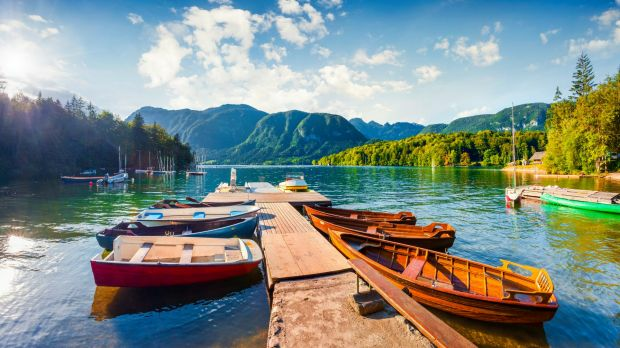 We launch our first curated tour to Slovenia in October, taking travellers on a journey through the country's gastronomic scene, in addition to the best of the alpine scenery, castles and picturesque lakes. The Maldives remains the ultimate bucket-list destination with an unbeatable mix of weather, gourmet food and stunning over-water villas. Avoiding US dollar regions will make for a better value holiday, so look at places like Bali and Malaysia, or the UK. With two very young kids, we go to family-friendly places. My wife is English, so we will be spending the Christmas holidays in England, followed by a week in Club Med in Italy. Cruising finally cracking the millennial market. Once the preserve of the older generation, cruising is enjoying stunning popularity from travellers who, years ago, may have stuck to Contiki tours. We are bringing on more products to cater to our younger audience. 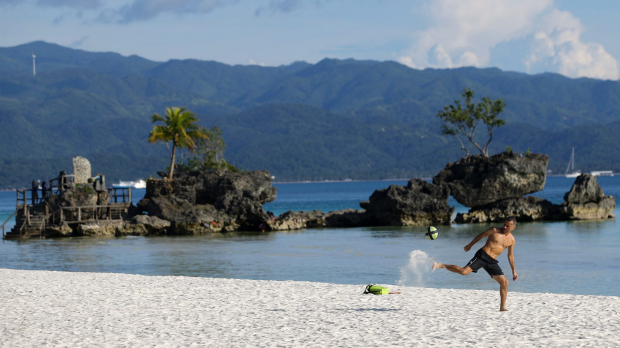 The impact of tourism on popular destinations, like the Philippines considering shortening the closure period of holiday hotspot Boracay to four months instead of six, but limiting the number of visitors when it reopens. We need to be mindful of the impact of tourism and always respect local cultures and environments. The improvements in the air experience – from upgraded lounges (the Qantas and Singapore Airlines' lounges in Australia and Asia are almost reason in themselves to travel) and upgraded planes, with 787s meaning less jetlag and reduced fatigue when you land, and A380s replacing tired old 747s. Europe will remain the number one destination for long-haul travellers – with the excitement of multi-destination itineraries combining culture, dining and shopping of high appeal. 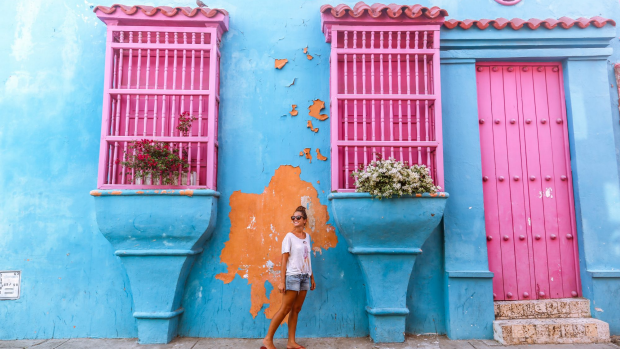 Cuba is also the new hot cruise destination, with our guests drawn to its vibrancy, cultural richness and artistic flair, as well as art and culinary scene, and tropical climate. Cruising Alaska continues to be popular with big-ship cruises and small-ship luxury voyages to choose from. From icy fiords that tower over the Pacific to snowy peaks stretching to the horizon, untouched landscapes and awe-inspiring wildlife, Alaska feels boundless; the perfect place to escape and recharge. I will be skiing in Whistler, Canada, as usual, but also plan to walk the famous Nakasendo Trail in Japan, which links Kyoto to Tokyo along an ancient trading route, through beautifully preserved villages and staying in traditional onsen. And a cruise in Asia on one of our 26 ships. A further increase in demand for more personalised travel experiences that are specifically tailored to the customer's needs. This is why finding a good, knowledgeable travel agent is critical – I have used the same one for 15 years now. 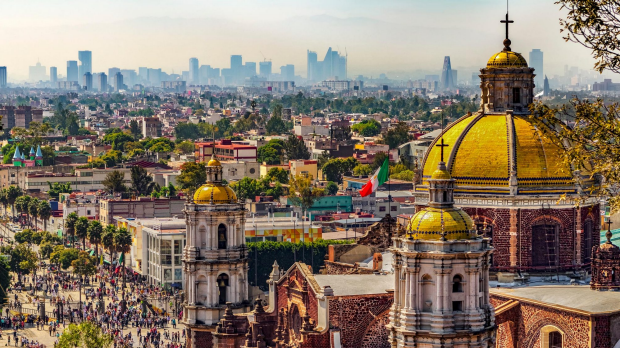 As we hear more and more about over-tourism in key travel destinations like Venice and Barcelona, there needs to be a wide-scale corporate commitment to reduce the environmental impact of tourism and to promote sustainability. Cruising. Considering all the inclusions from food to entertainment (plus in the luxury segment everything from Champagne to spirits and great wines), combined with multiple destinations and the fact that you only unpack once – cruising stands out as number one for value. Everyone will be going cruising. With new ships being launched every year, there will be more choice than ever. Pricing and offers can be complex, and the on-board experiences provided by the cruise lines vary widely, making it even more important that travellers make the right choice. Rwanda. In [conservationist and author] Dian Fossey's time, the number of mountain gorillas in the wild slumped to 242. 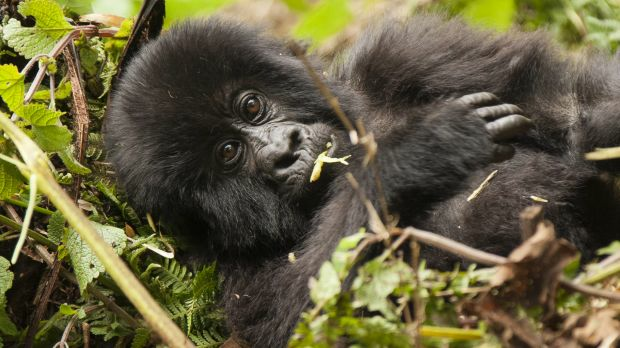 Due to world-leading conservation efforts, there are about 1004, over half of which are in Virunga National Park. Personally, it was the best travel experience we have ever had, and so fitting to be a feature of the Africa by Private Jet Safari in 2019. Travellers seeking rare or exclusive experiences, such as living on Antarctica for seven nights with polar adventurer Eric Philips. Also, as life gets busier and bucket lists get longer, avid travellers love the convenience and efficiency of travelling by private jet, for example covering the African continent in 22 days. Knowing where and when to go to avoid the crowds in Europe is key to a really enjoyable experience. Achieving exclusive access to sites is always nice, too. Reinventing much-loved destinations in new ways, for instance travelling the Camino with three Mercedes support vehicles and expert guides. It will be a transformative experience. If current trends continue, more than 60 per cent of Australians' holidays will be to Thailand, Bali, Fiji, New Zealand, US/Canada and Europe. [Australian travellers] will be looking to see these destinations in greater depth and with more enriching experiences. Follow Thomas Hardy's advice, and try to be "far from the madding crowd". Choose emerging destinations or those a little off the beaten track; India, Japan, Sri Lanka and Africa will continue to grow. Places like The Baltics, Russia and the Balkans, South America and the north-west US will become more accessible and Antarctica and the High Arctic will provide opportunities for genuine new discovery. I'll be travelling with our customers to Japan, Sri Lanka, Antarctica and Africa as well as to Europe to accompany a trip hosted by one of Australia's iconic chefs. A lot of the same but different. We'll continue to visit popular and emerging destinations but will be in search of more in-depth and enriching experiences. Also, whether you're buying direct, online or through an agent, more and more people will want their travel experience backed up by professional, Australia-based travel experts. Group travel and touring. Travelling with a group, large or small, is the most cost-effective way of experiencing new destinations or seeing old ones in a different light. It also brings with it the bonus of forging friendships with like-minded people. That travel to all parts of the globe has never been more affordable and accessible. I regularly say to my team that when it comes to travel, our only limit is our imagination. 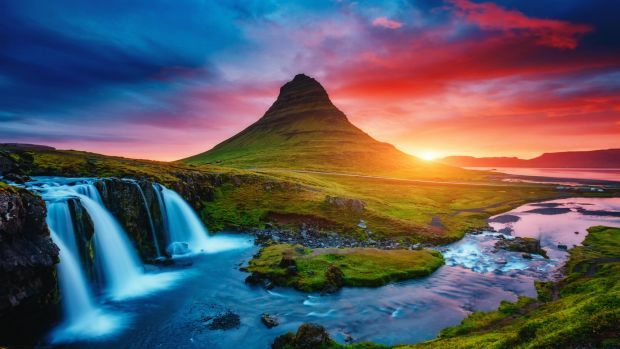 It seems that everyone is going to Iceland and this may explain why, in 2017, the number of tourists topped 2 million, six times the total population. And if not Iceland, on a cruise. Options which are not too touristy and lead the way in conservation and wilderness tourism. 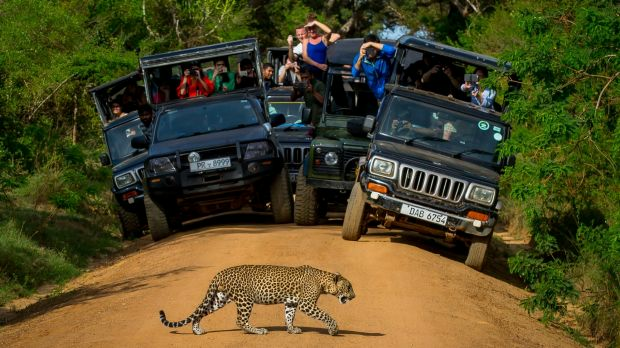 Destinations that come to mind are Zakouma in Chad, Odzala in the Republic of Congo, Gonarezhou in Zimbabwe, Jawai Leopard Camp in India and the Ibera Wetlands in northern Argentina. These are where the wild things really are. Sao Tome & Principe to discover the glorious western side of Africa so, hopefully, we can marry this together with experiences with the lowland gorillas as a jungle-beach safari with a Portuguese and French twist. Being a horse rider, I will also be cantering through the Maasai Mara on a riding safari as well as in Patagonia with the gauchos. [Travellers] reverting back to specialist travel companies who really care about tailoring the perfect journey for the traveller. Places that once seemed special and relatively inaccessible have become easily accessible tick-a-box tourism. People want instant gratification and this is assisted by discount tour operators, taking the sense of exploration away from the experience. Travel in the shoulder seasons – prices are better and the masses are not there. 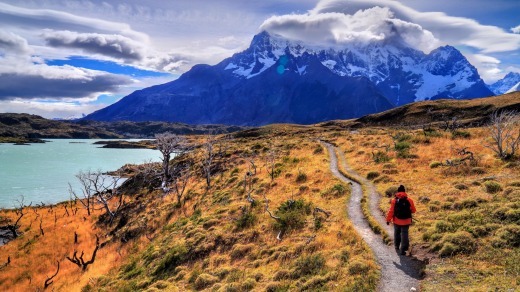 Patagonia out of peak season in spring, autumn and even winter is one of the nicest times to be there, with less volatile weather and the scenery bursting with new life or in dramatic colour. Luxury river cruising through Vietnam and Cambodia on the Mekong River will be very popular. We also see China, Japan, India and Sri Lanka growing significantly in popularity, while Africa and Canada will also continue to be popular for nature and wildlife, and France and Germany strong as quality food and wine destinations. We have seen a strong trend in small-ship luxury yacht ocean cruises in regions that are not on the standard tourist routes, like the Arctic and Antarctica for ice-scapes, pristine beauty and wildlife. Demand for South Georgia and the Falkland Islands, Iceland and the Baltic regions will grow significantly over the next few years. Russia and the Eastern European region are next on my list for the history and culture, shrouded in mystery for so long. Cruising the waterways of the Volga is a truly intriguing choice. The wellness and health trend, supported by high-quality facilities on both river and ocean cruising. In Europe, Scenic has innovative salt therapy rooms, gyms and wellness centres on most of its space-ship fleet and Scenic Eclipse will feature a 550-square-metre spa with pools, yoga and Pilates studios. Environmental awareness and sustainable tourism, including waste management, emissions controls and the protection of wildlife in alignment with local communities. This will progress to a code of conduct to ensure eco-friendly tourism and is likely to be a key factor in the purchase decision for a lot of high-end travellers. Where flights, meals, beverages, tips, transfers and on-shore excursions are all included – so guests can focus on making memories that will last a lifetime. The development of the luxury small ship; discovery yacht ocean cruise vessels are changing the face of ocean cruising. Their smaller size and better manoeuvreability means access to ports that larger vessels can't have, opening up more destinations. Egypt. I've been saying it for years but it is happening now. Tourists are starting to come back in numbers, particularly with the relaxed travel advisories of the UK and US. Australians, too, are intent on rediscovering the ancient temples and learning more of their incredible stories. Egypt and, for something entirely different, Ethiopia. Ethiopia offers a very different touring experience to the safaris of eastern Africa. It has delicious food, intriguing local traditions and the 12th-century churches of Lalibela. Sri Lanka, Egypt, Slovenia, New York, Jordan, Europe – the list goes on. A shift to smaller groups. I wouldn't be in this business if I didn't believe that. Travellers are noticing the significant impact that group size makes on their touring experience. Navigating the changing technologies available and delivering the best experience for our travellers at all times. With a multitude of choice at our fingertips it's more important than ever for travellers to have quality information to inform their destination decisions. Meeting new people along the way. That is surely one of the joys of exploring this amazing world! More remote and regional destinations such as Finland and Iceland in the winter. Finland has amazing experiences like the Northern Lights, dog sledding, pristine wilderness and snow-capped igloos. Iceland also has the Northern Lights, spectacular cascading waterfalls with unpronounceable names, and picturesque landscapes. Costa Rica for magnificent bird and wildlife, adventure experiences for fun-lovers and eco-tourism-style accommodation; Finland and Iceland; Colombia with its coffee culture, delicious cuisine, mountains and verdant jungles; and Yellowstone in the winter in a snow coach which takes you close to dozing bison, coyotes and other wildlife, without the crowds. Heading to the cold. Australians love the snow and ice, and are embracing wintry experiences, be they in Canada, northern Europe or the US. These are more active holidays but with plenty of built-in leisure time and different styles of travel and accommodation. The US is still very good value for money for an Aussie. All-inclusive packages are the way to go as there are no hidden surprises and managing a budget is much easier. Making travel more meaningful, be it through tours where you can help the locals and give back, meeting more locals in their own environment, and experiences and adventures that put you in touch with the heart and soul of a destination. A lot more people will be cruising and discovering new destinations along the way that they might never have considered before, like Malta in the course of a western Mediterranean cruise. The evolution of cruise ships and products have removed many of the reasons some people never liked cruising. Mexico, a country not many Australians visit but with improved security it's safer than ever, with wonderful places like Los Cabos where the rich and famous go. Sri Lanka, whose appeal has always been underestimated but the awareness of the destination is growing and it's become a lot easier to get to; and one of my favourites, the Maldives – a bucket-list destination that is now more affordable and accessible than ever before, a truly unforgettable exotic holiday. I'm going on safari in Africa with my family. I wanted to give my boys a holiday they'd never forget so we'll be looking at Kenya, Tanzania and Botswana. The continued growth in "flash travel" – special value-added, heavily-discounted packaged deals expanding opportunities for people to travel more often. These deals are curated "holidays in a box" with flights, accommodation and tours all included in one package, designed to inspire people to travel to places they may not have considered before. Customer disappointment with some of those flash travel deals offered by some operators. Customers may find they're in hotels a long way out of the centre of cities, or on red-eye flights with long lay-overs or may have to pay an extra charge in "break fees" if they want, for example, to extend their holiday by a night. The devil is in the detail – make sure you read the terms and conditions before booking. Take your pick. Customers have more choice on the style of holiday and access to more destinations than ever before with flash travel deals discounted by 30, 40 or 50 per cent (sometimes more!) You may need to be flexible with your travel dates, but with the savings you make you can afford to go on holiday more often. 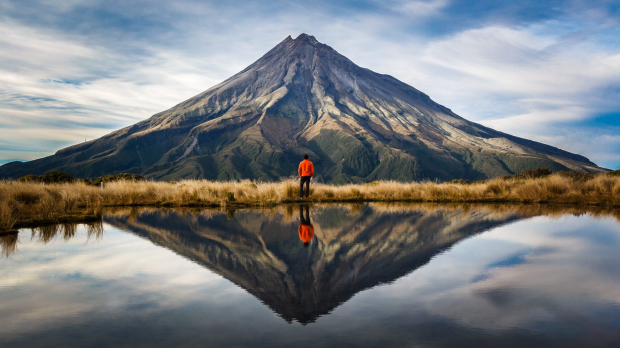 The popularity of Queenstown, New Zealand, is soaring, while Japan is continuing to grow in popularity with investment in infrastructure, entertainment and tourism – not to mention the 2019 Rugby World Cup and 2020 Olympic Games in Tokyo. European hotspots like Greece, Italy and Croatia will also draw crowds, and more are interested in off-the-beaten-track destinations, such as Ethiopia, Israel and Myanmar. WHERE EVERYONE SHOULD BE GOING IN 2019? Australia and New Zealand. Too often we forget our own backyard offers experiences that easily compete with the best the world has to offer. Also, Morocco is a hot destination that is starting to become more mainstream and Vietnam is an adventurer's delight. Airlines continuing to expand their networks, particularly the economy carriers giving travellers more choice. New generation jets such as Airbus A350s and Boeing 777s will provide previously unimaginable direct flights like the new Perth-to-London flights and perhaps in a few years non-stop flights from Sydney to New York. Almost anywhere in regional Australia for value, with some excellent places to stay and surprisingly good food and wine. Airfares will continue to remain competitive, and New Zealand will remain an affordable international destination for Australians, with excellent food, wine and experiences. Japan for the Rugby World Cup in September or January to March for an epic ski season. It's becoming more and more the destination for skiing. 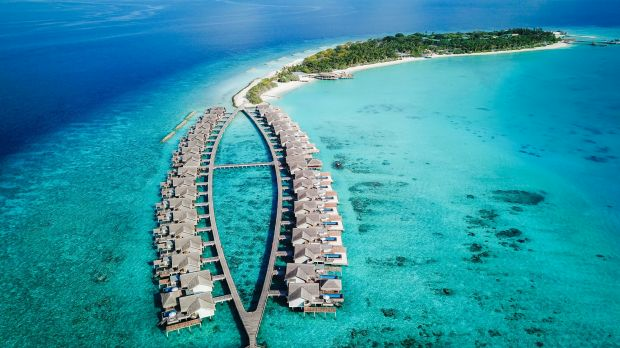 The Maldives has never been better value and with the increasing number of luxe hotels popping up on remote atolls, it's a bucket list must-do. January is skiing in Japan, March is Europe, July is Hawaii, September is Malaysia, plus a few sneaky trips to New Zealand and the Australian alps for a bit of skiing. Longer-haul flights; Qantas doing Perth to London and other airlines looking for super-long-range aircraft for more direct travel. Over-tourism, especially in Europe, is starting to become a real challenge to economic and environmental sustainability. How the industry supports this is a question we need to address. Mixed-class airfares: flying economy on a leg then switching up to business or even first class on the next leg to make for a cost-effective and very comfortable trip. The options, not just in terms of the destinations, but the ways to get there. How to research, design and book an experience is now so immense it's almost too hard. The market is moving back to travel advisers who are experts in their trade, to make it easy and value based. Georgia is the one to watch in Europe. I think it's been flying under the radar for a long time but people are now starting to realise the diversity that it offers. The mountains, the vineyards, the cities and the food – it's just the complete package. Somewhere new that pushes you outside your comfort zone. Sri Lanka is a great option – it has the natural beauty, the history, the culture, and the incredible dining scene, and it still feels like you've stumbled across a secret other people haven't found yet. And Laos is going to be the next big star of south-east Asia. Iceland. I'm pretty attracted to the natural wonders of a place, and from everything I've seen of Iceland, it's just one of those places where you can't help but gaze in wonder at the landscape around you. Bhutan is another one I'm keen to visit, but more for the spirituality and culture. The package deal phenomenon is going to grow and reach out into the younger demographic. It's no longer seen as the daggy option; there are some surprisingly cool trips out there. Sustainability. With climate change on everyone's lips it's something we really need to think about. We want things like the Great Barrier Reef, the glaciers in Alaska's Inside Passage and beyond to still be around for our children and grandchildren. Group travel is definitely one way to reduce our carbon footprint. China. The value for money you can get there is just second to none. Emerging destinations such as Laos will also be a big hit. Japan – to see the Rugby World Cup. Boracay Island, in the Philippines. The island was closed in 2018 for a full redevelopment and relaunches in 2019. I have travelled there many times and highly recommend this jewel of Asia for its white sandy beaches and untouched lifestyle. The Maldives for some summer R&R, and Whistler for an adrenaline-pumping heli-boarding winter adventure. Health and wellness-inspired experiential travel. It's increasingly becoming a luxury and we're investing more on wellness experiences when we travel, and the industry is responding to this, from running concierges to in-room workout equipment and treatments. Connected travel and meeting the needs of tech-savvy travellers. Imagine a fully automated Internet of Things smart room that can turn on your shower to your preferred temperature and check-in via an app for keyless rooms. The challenge will be keeping up. All-inclusive getaways where the hard decisions are already made for you. The way it's becoming more personalised and instinctive. We are able to anticipate our guests' needs before they ask and exceed their expectations.